MyAstrology.net : Home Page : Free astrology, free daily horoscopes, free astrology ebooks, astrology blogs, psychic readings, and more! 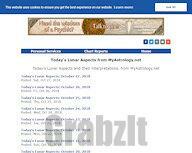 MyAstrology.net offers a variety of data, forecasts, and other resources for astrologers and those who are interested in astrology. Your idealism surges, but you may be just a little disappointed that your dreams are not yet reality. Devotion and hard work bring practical rewards. It's a good time to make requests of those in authority. 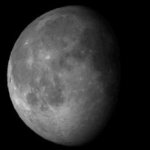 The lunar aspects and Moon-sign changes give a quick read of the overall tone of the day. The exact time of each aspect shows when that trend "peaks" for the day. All times are given in GMT. • "What Kind of Job Should You Get, Based on Your Zodiac Sign?" by Manisha Kothari: Career advice based on your Sun sign. • MyAstrology.net Newsletter - Spring Equinox 2019 is now available. Read it here! See what the coming year holds for you. 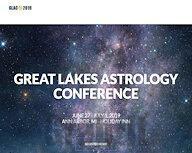 Read the 2019 forecast for your sign now, free from MyAstrology.net! 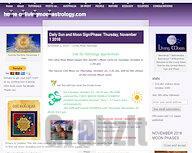 Some of the latest posts and headlines from astrology blogs around the web. Tukwila (near Seattle), Washington, USA. "Where you won't get lost in the crowd." Speakers include Lynn Bell, Rick Levine, Chris Brennan, and more. Wyboston Lakes (near Cambridge), United Kingdom. "Transforming Lead into Gold: Working with the Challenges of the Times." Which Zodiac Sign Is Your True Soulmate? Take our fun quiz and find out! Your soulmate is out there, and this brief quiz can give you insight into who he or she may be. 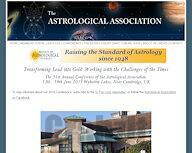 A collection of articles on a variety of topics designed to introduce astrology in easy-to-understand terms. If you are an astrology writer and would like to contribute to our "Primers" series, please read our writers' guidelines. Check out this book and our growing collection of astrological knowledge, from the obscure to the classic, all for free! Authors include Alan Leo, William Lilly, Raphael, and more! 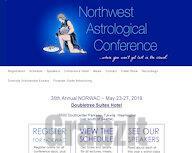 Links to other astrology-related sites: conferences, schools, organizations, individual astrologers, and more.